The steps necessary to finish this watercolor landscape painting demonstration are addressed in Part 3. Time is spent refining the water with the use of masking, etching, addition of addition color, and completing the details of the reflection. Foreground decisions are made. Steve provides more watercolor techniques for applying paint. 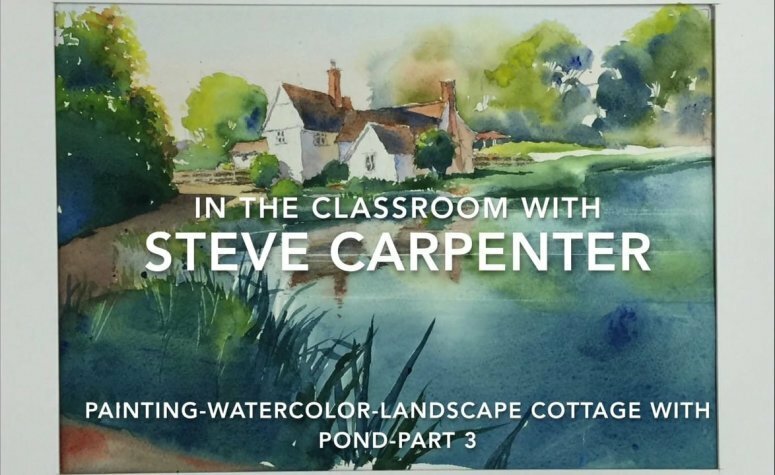 Other topics include surface preparation, color variation, emphasizing horizontal elements, design consideration, and finding personality to the elements in the watercolor painting.